Julie Clark discusses book Falk: Company Town of the American West. 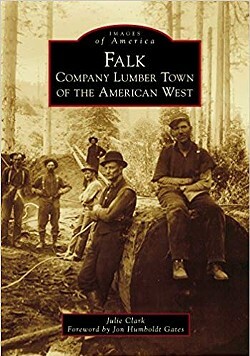 Between the years 1884-1937, the company mill and lumber town of Falk thrived in what is now the Headwaters Forest Reserve. In the late 1800s Noah Falk and two other stakeholders became equal partners in the Elk River Mill and Lumber Company.